Since the beginning of my scientific experience, my research interest has mainly been oriented towards the study of the interactions between micro-organisms and the host (humans), impacting or ensuring or providing human health and wellbeing. My first work at the Pasteur Institute allowed me to learn a set of molecular biology techniques ranging from electrophoresis techniques to DNA microarray that I applied to characterize pathogens for epidemiological purposes. At the E. coli Reference French National Center (P.A.D. Grimont & F. Grimont), my work of molecular characterization of E.coli (serogroup O111) and the detection of factors of pathogenicity showed among the strains collection a great antigenic and pathogenic diversity. This study showed that serotyping itself is not enough for typing and that the search for pathogenicity genes is mandatory. The pulsotyping by a strong discrimination showed also a very great diversity within the serogroup O111. When I joined the Pasteur Institute Genopole in the P. Glaser team, I participated in the development of a DNA chip for the genus Listeria, by computing genomic data. The goal was to be more representative of the diversity present within the genus. Based on the hybridization results from two previously designed Listeria DNA arrays, my work led to develop a third Listeria array, by reducing the number of probes generating ambiguous values and by diversifying the genetic information. I selected probes giving the most distinct signals and integrated specific genes from two additional Listeria genomes sequenced by TIGR. Using this new DNA chip on the strains of Listeria from the Pasteur Institute Collection confirmed the existence of genomic division between strains that had been previously identified. This new reduced and diversified Listeria DNA array is as discriminating as the previous ones and can distinguish very closely related epidemic strains. It was in the S. Brisse’s laboratory that I approached population genetics of pathogenic bacteria. My work allowed through a multilocus sequences typing approach to confirm a distant origin of M. tuberculosis, called M. prototuberculosis. In addition, this work helped to highlight the recombination phenomenon at the time not known in this species. The sequencing of 16 housekeeping genes was done on a population of 56 smooth isolated strains in Africa including 37 strains of M. cannettii and 10 members of the M. tuberculosis clonal complex (MTBC, rough strains). Based on these results, whole genome sequencing was done on the most genetically distant smooth M. prototuberculosis strains and preliminary analyses confirm the divergence of these strains compared to MTBC strains at a genome-wide level (Supply, et al, 2012). By integrating Joël Doré’s laboratory at INRA (PhD headed by Marion Leclerc), I kept studying the host micro-organism interactions by studying the complex intestinal microbiota by metagenomic approaches. The goal of the project is to assess the impact of dietary fibers on intestinal microbiota in the context of a human nutritional intervention (Project AlimIntest and PhD work supported by a grant from National Research Agency Project). My work first highlighted a phylogenetic core of microbial species which would explain the functional redundancy shared among all healthy adults (Tap, et al, 2009). I am currently assessing the impact of dietary on composition and functional dynamics of the intestinal microbiota both by molecular biology approaches such as qPCR (Furet, et al, 2009) and also by meta-transcriptomic approach. Between classes analyses showed that some bacterial groups can be rapidly modulated by diet, in their abundance or their transcriptional activity. Furthermore, a collaboration with INSA –Toulouse led us to discover new fibrolytic enzymes and new CAZY families by screening a metagenomic fosmid library from a human vegetarian individual (Tasse, et al , 2010). During my PhD project, I also have been developing new bioinformatics tools (Legrand et al, 2009) to be used by biologists from the laboratory shifting to high density sequencing technologies such as pyrosequencing, I have been collaborating with bioinformaticians at Genoscope CEA to evaluate alignment-free approaches for clustering sequences. This allowed me to be in contact with large metagenomic datasets generated from ANR-MicrObese or EU-MetaHIT projects, in which not myself directly, but my laboratory is involved. Even though I was not direclty involved in the MetaHIT, my work has contributed to the choice of whole genomes sequenced strains and highlight statistical differences between patients having inflammatory bowel disease and healthy people based on metagenomic data (Qin,et al, 2010). Meanwhile, I started to work closely with clinicians from AP-HP on the interaction between gut microbiota and patients having a gastric bypass. This work leads to highlight that gut microbiota is linked with inflammatory and metabolic parameters (Furet et al, 2010), while the crosstalk with white adipose tissue is restored after the surgery (Kong, Tap et al, 2013). At EMBL, in the Bork group, I continued to study interactions in the human microbiome, using molecular and bioinformatics approaches (Sunagawa et al, 2013), in connection with clinical studies (obesity (Le Chatelier et al, 2013), diabetes, inflammatory bowel disease and colon cancer (Sobhani, Tap et al, 2010, Zeller, Tap et al, 2014). My first work was to contribute to the discovery of enterotypes of the human microbiome which permit to stratify people into three “gut type” or three microbial assemblage (Arumugam, Raes et al, 2011). We also characterize for the first time the global genomic variation of the gut microbiota and discovered the high stability of subject specific nucleotide polymorphism over one year (Schloissnig et al, 2012). I also participated to the project development called my.microbes which permit to give an access easily to everyone who want a microbiome analysis using metagenomics approach. 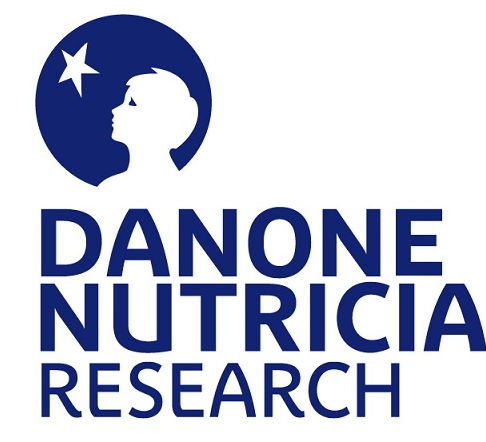 Since 2015, I’m working at Danone Nutricia Research at Palaiseau as Microbiome scientist. My main goal is to decipher association between microbiome and nutrition for individual suffering functional gastrointestinal (GI) and motility disorders (Le Neve et al. 2015, Tap et al. 2016).